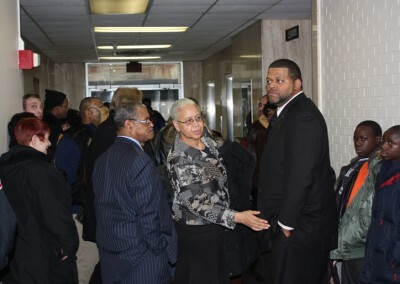 On Wednesday. 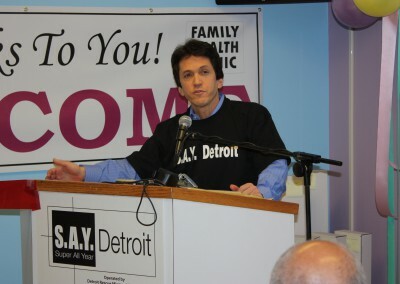 December 17, 2008, S.A.Y. Detroit, the organization formed by Mitch Albom to aid the homeless in Detroit, and the Detroit Rescue Mission Ministries opened the first ever free medical clinic devoted entirely to homeless children and their mothers. 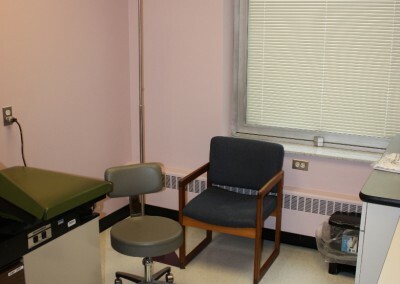 Open 24/7, the clinic will provide maintenance and preventive healthcare, including immunizations, diabetes screening, and blood pressure testing, and with special attention to their most common health problems. 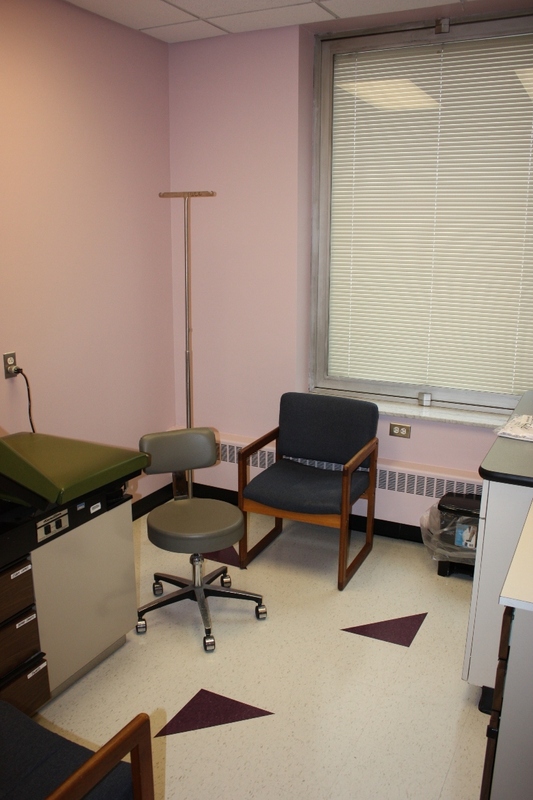 The clinic will operate with a staff of nurse practitioners and on-call physicians including a pediatrics specialist, OB/GYN specialist, and a nutritionist. 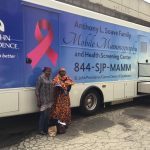 Offering a wide range of health services, the clinic will accept walk-ins and run a pick-up service at several Detroit shelters. 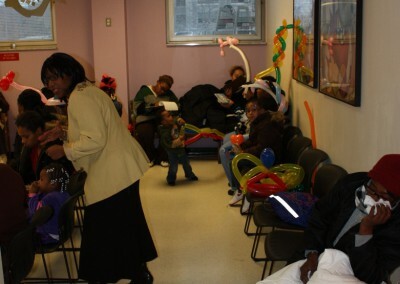 Over half a million people in Detroit remain uninsured, and nearly 100,000 of them children under the age of 10. 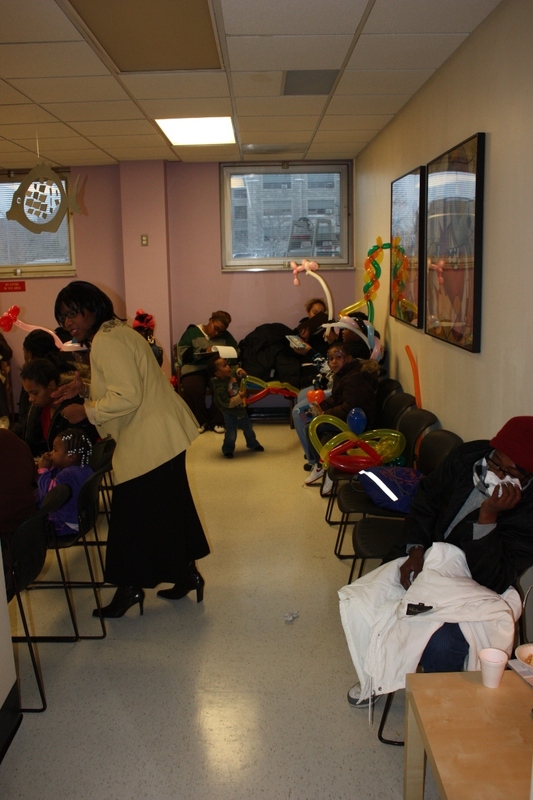 With little or no finances and inadequate access to information and transportation, too many children are denied basic health care. 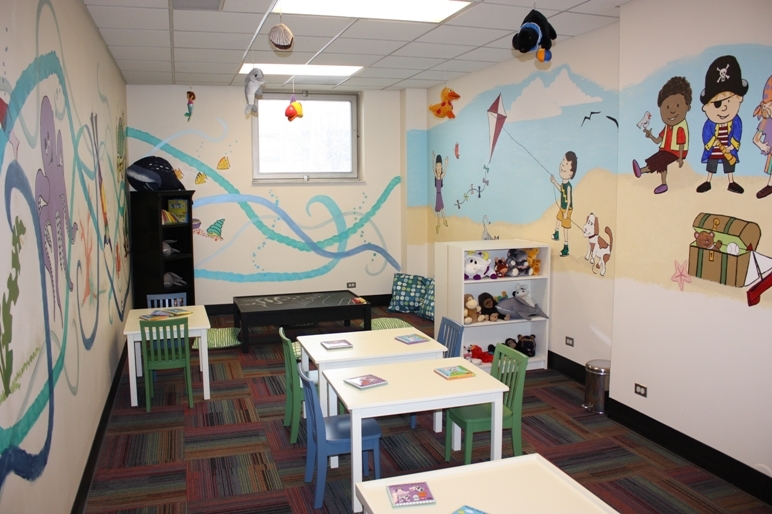 Worse, the parents of homeless children are often reluctant to take their children to hospitals out of shame or fear that their children will be taken away. 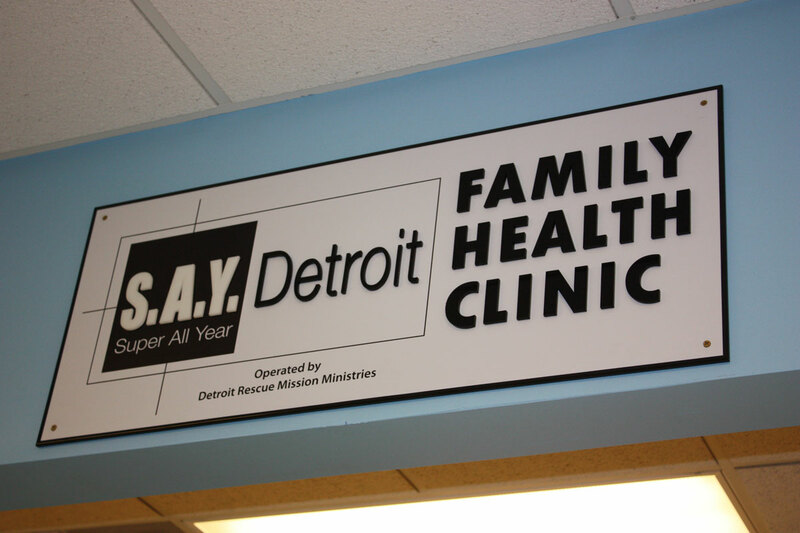 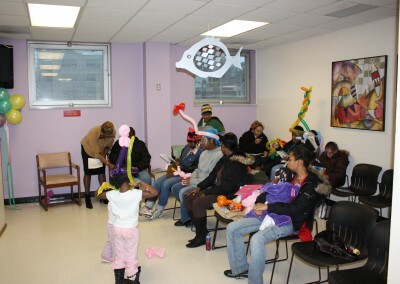 S.A.Y. Detroit Family Health Clinic provides a safe and comfortable environment for the community’s most vulnerable members. 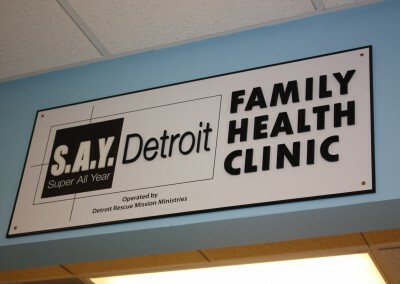 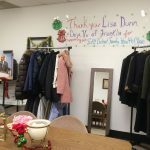 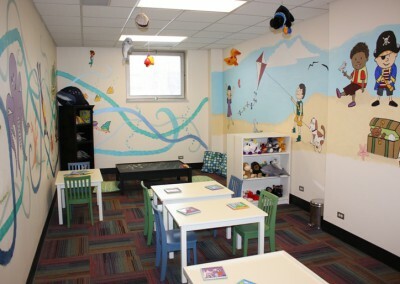 The facilities have been refurbished, equipped, and decorated through the efforts of S.A.Y Detroit, a Time to Help volunteers, and the generosity and hard work of local citizens and businesses. 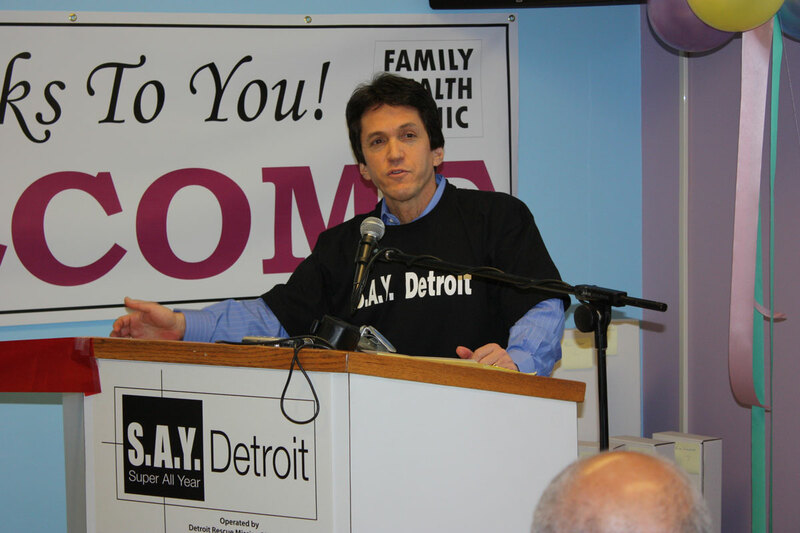 S.A.Y. Detroit, an umbrella program that funds shelters and cares for the homeless, was founded by Mitch Albom in February, 2006 in reaction to the city’s plan to provide temporary shelter for Detroit’s homeless only during Super Bowl XL weekend. 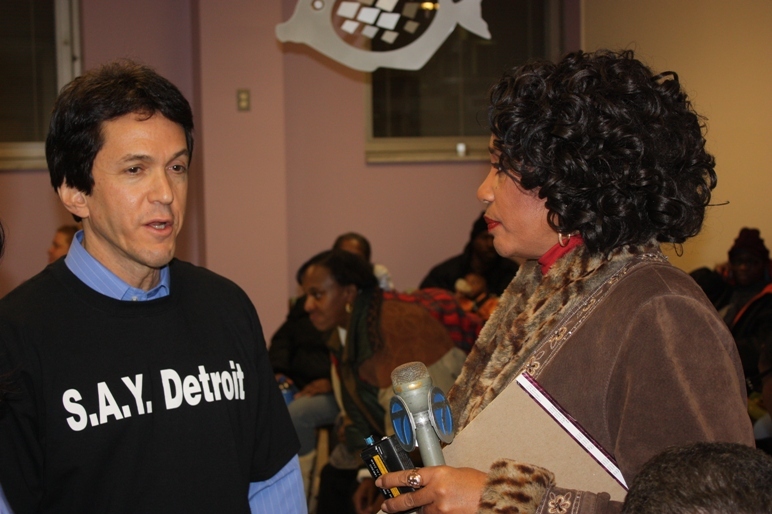 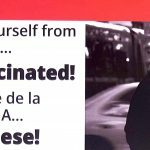 Albom spent a night in a shelter to call attention to the issue, and as a result was able to raise over $350,000 in less than two weeks. 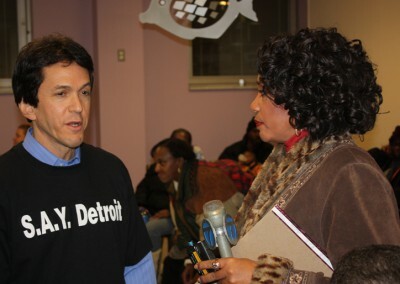 Super All Year Detroit is now a 5013-c nonprofit organization that funds numerous homeless shelters throughout the Metro Detroit area. 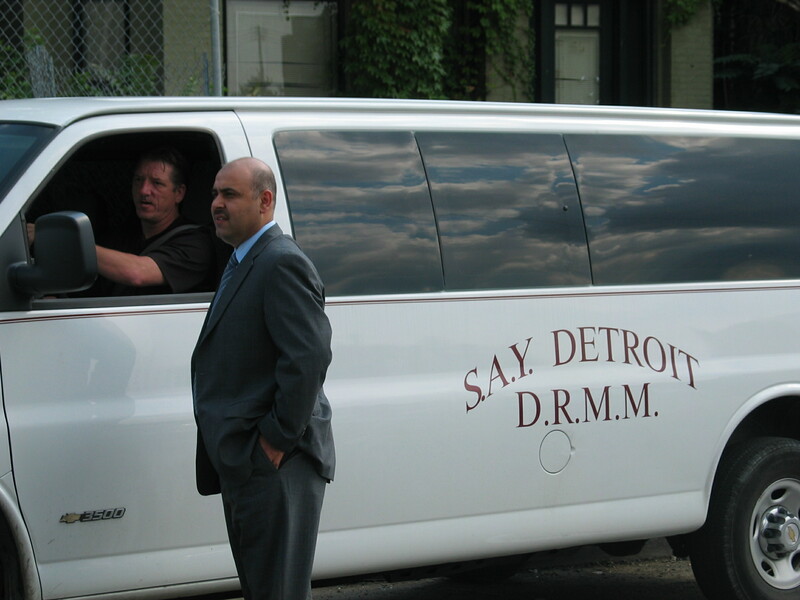 The Detroit Rescue Mission Ministries is a private, non-profit organization serving the residents of the inner city of Detroit: the homeless, hungry, chemically addicted, and mentally ill. 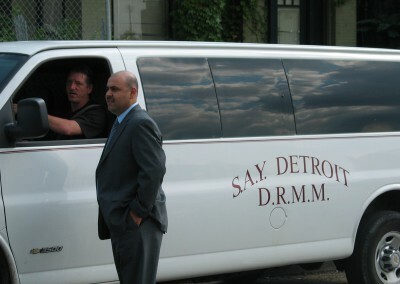 Founded in 1909, the DRMM provides shelter, support services, food, and substance abuse treatment to thousands of men, women, and children each year. 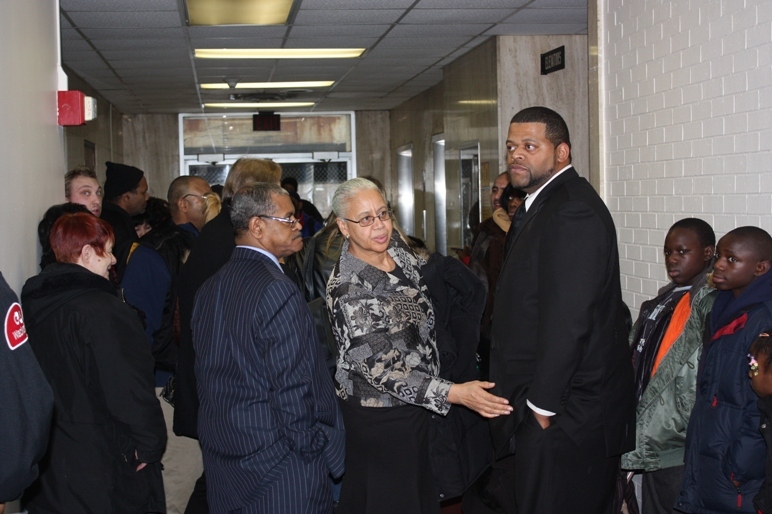 It is the largest rescue mission in the nation.